On Thursday, TMZ broke the tragic news that Prince has passed away, leaving a profound hole in the fabric of music. Prince's publicist confirmed in a statement to Bustle that Prince had died at his home. “It is with profound sadness that I am confirming that the legendary, iconic performer, Prince Rogers Nelson, has died at his Paisley Park residence this morning at the age of 57. There are no further details as to the cause of death at this time." Suffice to say the universe is reeling from the gigantic loss of his purple majesty, although casual fans might be wondering the age-old question: what is Prince's real name? 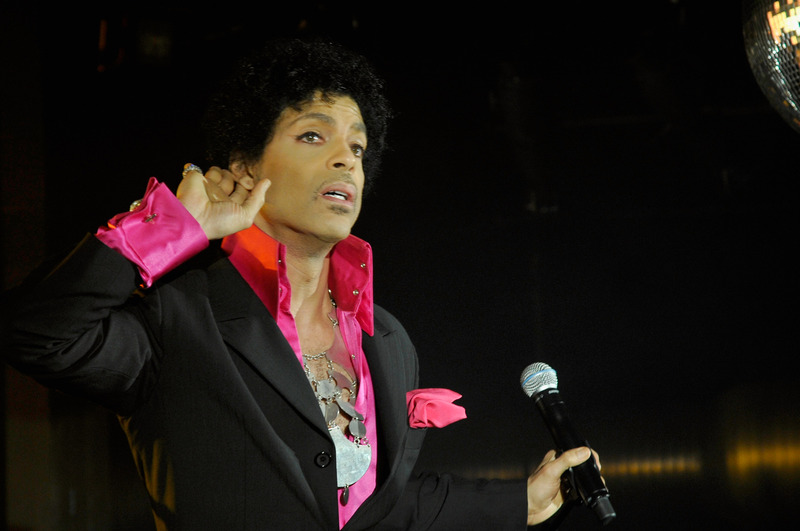 That's right, Prince was born Prince Rogers Nelson, and the early ties to his name predicted his musical future. Prince's father, John Lewis Nelson, went by the stage name "Prince Rogers," and he led the aptly named jazz group The Prince Rogers trio. Apparently, Nelson gave his son his stage name because he wanted Prince to follow in his footsteps and "do everything I wanted to do." In Prince's early childhood, Nelson would still occasionally answer to his stage name, so they gave Prince the moniker "Skipper." Now, naturally you can't have a revolutionary rock-pop-funk idol go by "Skipper," so, when the great purple one got his career going, he made his name into a mononym, Madonna-style. But if you've taken even the slightest peek at music history, you'll know that it isn't the name he stuck with throughout his whole career. In 1993, Prince changed his name into an unpronounceable symbol (known sometimes as the love symbol). The media mainly referred to him as "The Artist Formerly Known As Prince" during this time frame, although hearsay is that Warner Bros. had to send out floppy disks with a custom font that included the symbol so journalists could use it in their write-ups. That Prince, always doing things his own way. Finally in 2000, Prince started going by his singular royal title once more, and it remained his go-to name ever since. It is heart-wrenching that we're reflecting on the legacy of his name as we try to process his passing. Truly Prince by any other name would still rock as hard (and did rock as hard, even with that silly symbol), but his concise title will forever remind us that he was real musical royalty. We're just lucky to have co-existed during his magical reign.